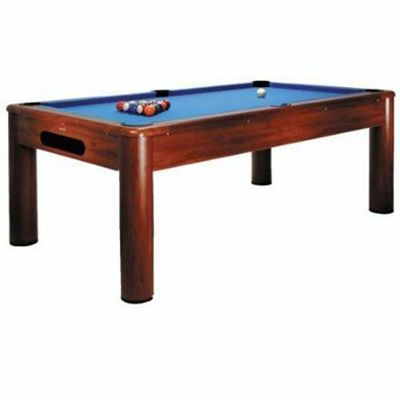 The BCE DP-6 6' Pool Table will grace any home with a blue colour cloth and rich cherry colour plastic laminate on the wood. It comes complete with two 4 foot cues, a triangle, pool balls and chalk and it also features a ball return system - you get a lot of table at the price. for submitting product review about BCE DP-6 6' Pool Table.